Surprisingly powerful. Simple to use. 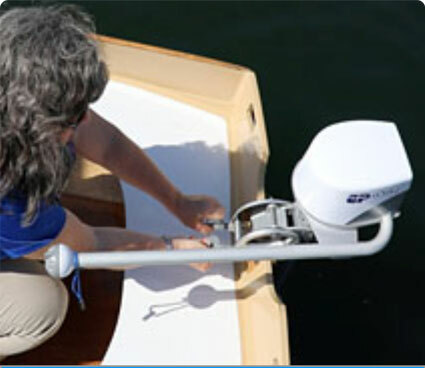 EP Carry’s electric outboard for dinghies. 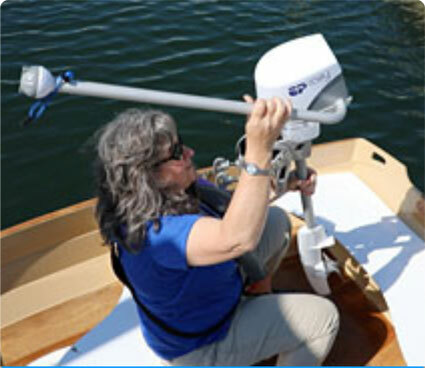 EP Carry’s light weight and compact size makes it the easiest motor to lift, mount and operate on a ship-to-shore dinghy. 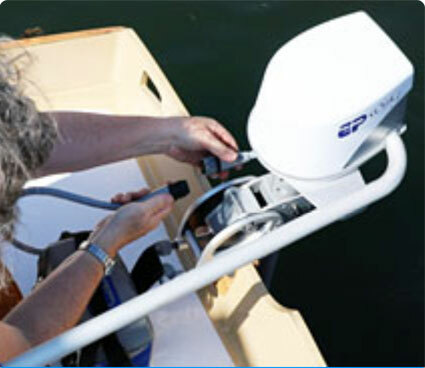 Its efficient, quick-to-recharge battery offers the range you’ll need for all your dinghy chores - with greater safety than a gas-powered outboard. Quiet, dependable, and more fun for everyone. Only 21 lbs. including battery. 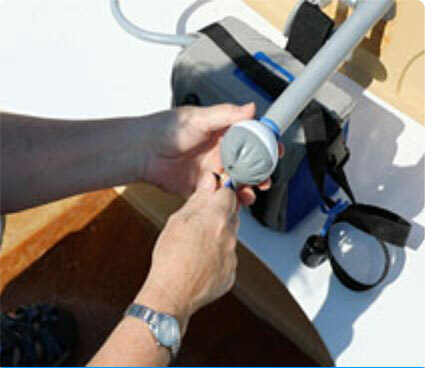 Available in three shaft lengths to fit your dinghy. See product details, place your order today, or contact us directly at (425) 502-5232. EPCarry's 14.4 lb. outboard and 6 lb. 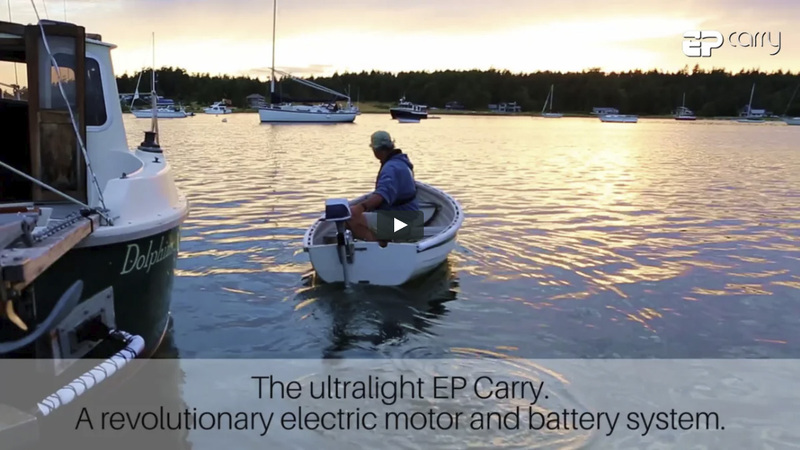 battery are light enough to sling over your shoulder while you step down into your dinghy. 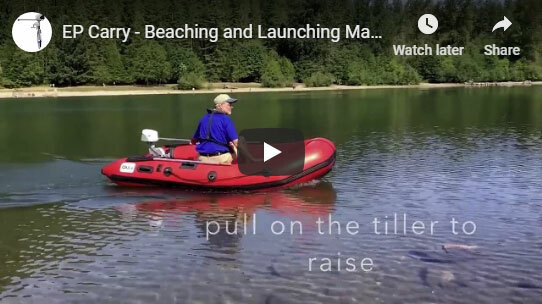 EP Carry is simpler to operate than a gas motor, giving crew members of all ages the confidence to load up the dinghy and take the dog to shore. 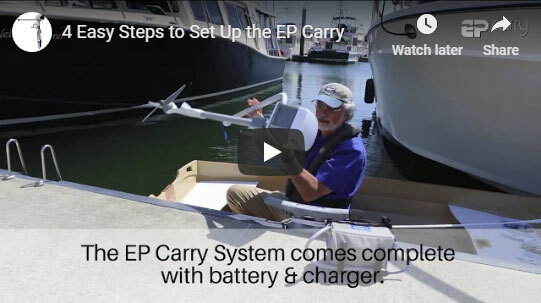 Is the EP Carry right for my boat? 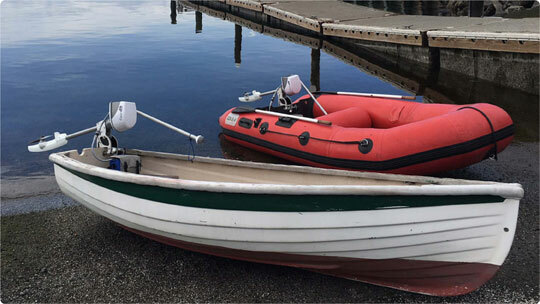 Other small boats up to 13 feet in length and 600 lbs. —Ashlyn Brown, Port Townsend Watercraft. See full blog post.